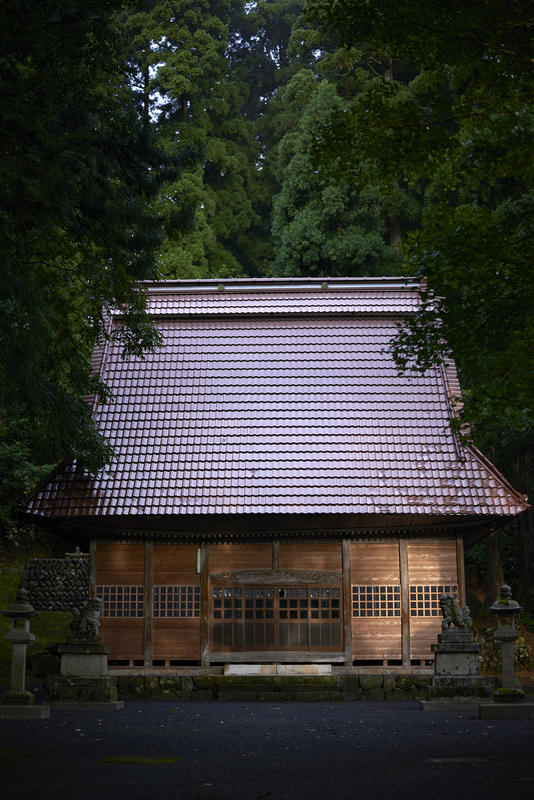 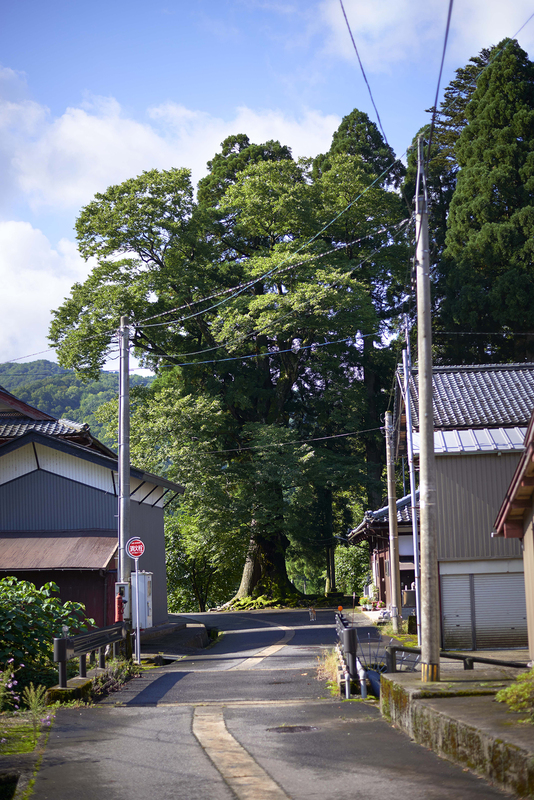 This is the Shizuhara village shrine. 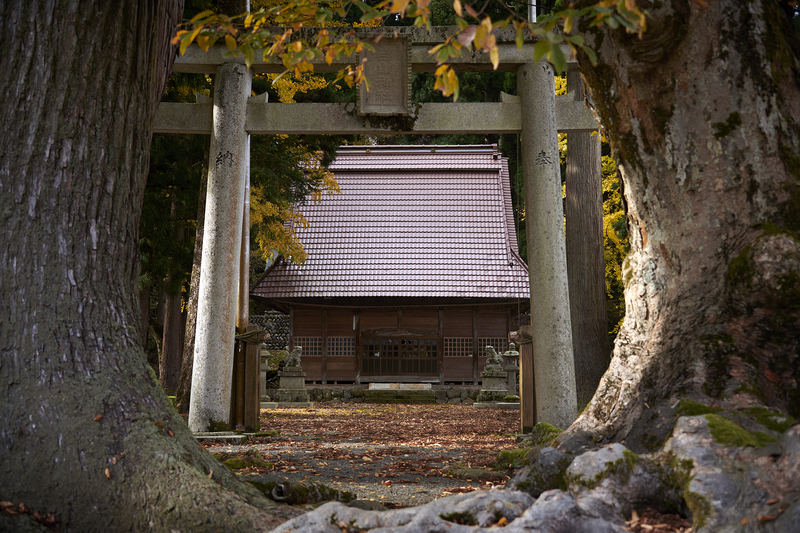 The highlight is the tree roots found in front of the toriishrine gate. 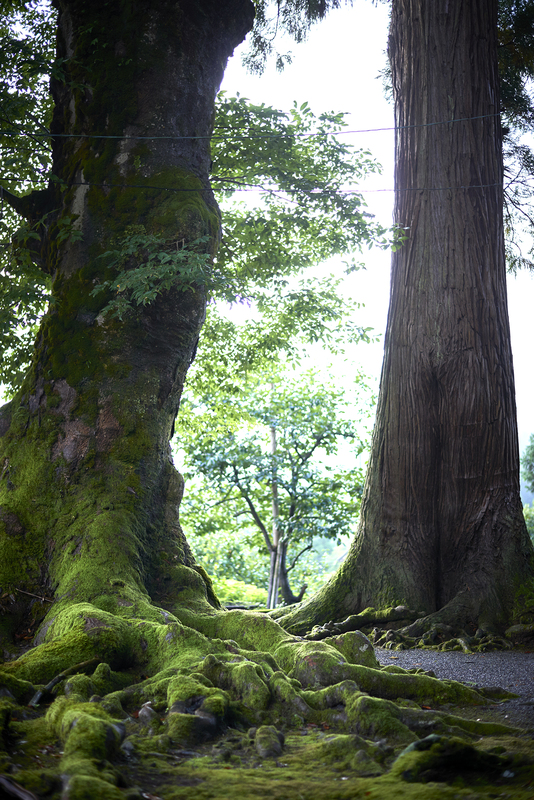 The magnificent cedar and the Japanese Zelkova have encroached and wrapped around one another and the roots reach out to the road. 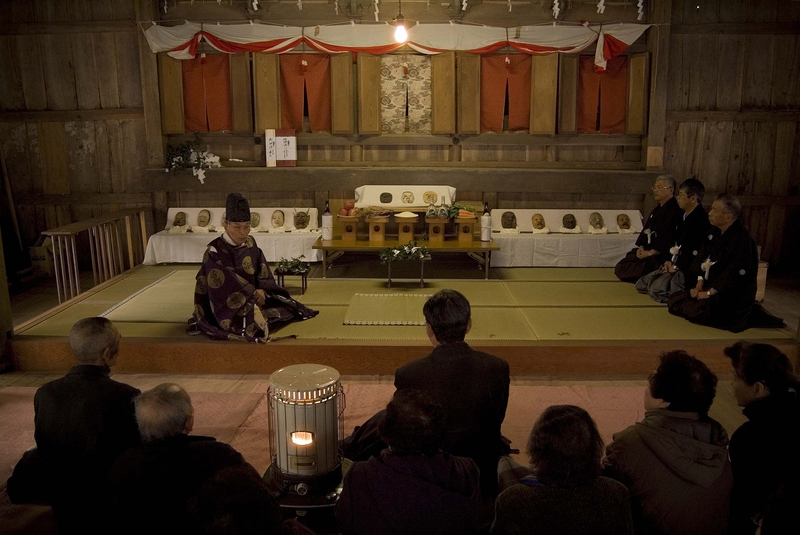 It is recorded that Noh rituals were performed until the early Meiji era. 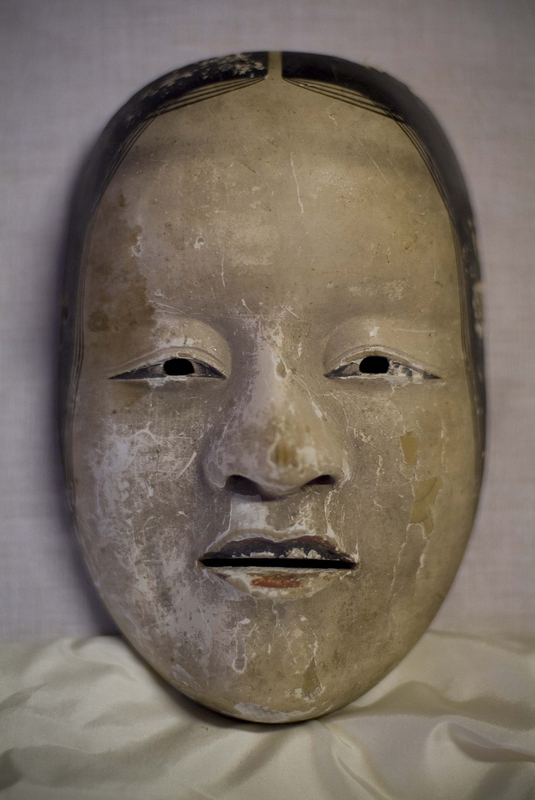 Nowadays, on February 17 the Omen Matsuri mask festival is marked, and the Noh masks and costumes from that time are displayed to the public.